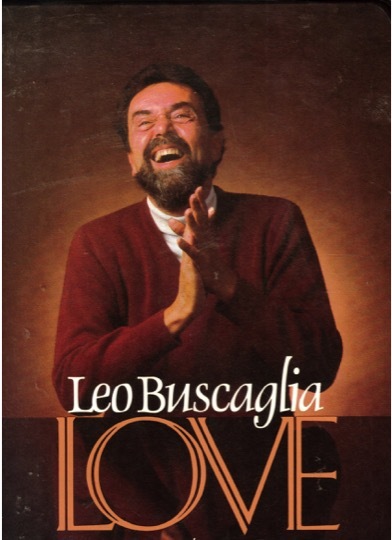 Dr. Buscaglia was a Professor at USC beginning in the 1960’s, and rose to fame as the “Professor of Hugs” through broadcasts of his videotaped lectures during PBS fundraisers. He wrote numerous books on the topic, and once had five of them on the New York Times “Best Sellers” list at the same time. He often said he had the copyright on Love, because his first book, published in 1972, had a title no one else had ever used before, just one simple word: “Love”. Leo was known for hugging anyone and everyone: after his lectures, thousands of people would stand patiently in line for hours, waiting to hug him. He almost never left until he met everyone there, saying that not meeting those at the end of the line would have left him a lesser person. He said that the command to “Love Thy Neighbor” is found in every major religion, and he was determined to demonstrate that love with all whom he met. 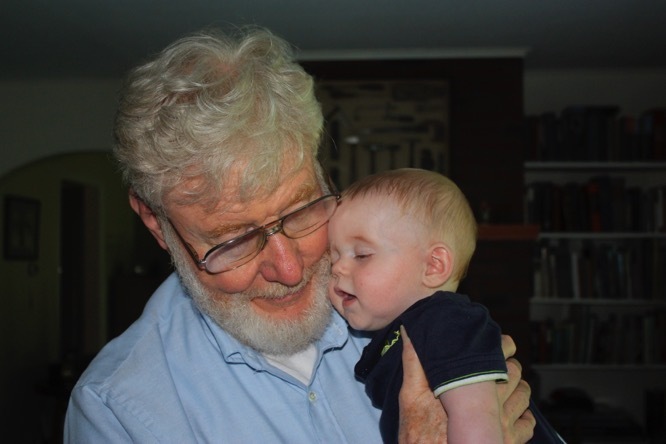 As much as I admire the late Dr. Buscaglia, what I want to talk about this morning is hugs. Leo’s willingness to hug was an affirmation that our lives cannot be filled simply through feeding our brains, eyes, ears, and stomachs. We need touch, physical proximity, closeness, and to be open and vulnerable to one another. This is all embodied in the simple act of embracing one another. We all need hugs; more often than we think we do. Christianity is unique in that it claims that God wants to physically walk with us, demonstrating through the life, ministry and resurrection of Christ that it is not just our spirits, but also our bodily existence, that matters to God. I’ve reflected upon this and upon this morning’s readings in terms of our call to actively participate in the “Body of Christ” – which is, after all, seen as the physical presence of Christ here on earth, working through us: being bodily present, giving material support, and being a provider of the physical closeness, intimacy – and hugs – that we all need and desire, no matter how ugly or unlovable we may think we are. Stories of those who see past the ugliness to reach the inner person through love always move us. I had such an experience recently. A particular family I am friends-with are lovely and loving people. And yet, like anyone, they cannot escape from the pains and challenges of existence. Love is not a “get out of jail free” card from the troubles of this world. The husband was recently hospitalized for severe depression. A social worker visited him this past week to determine what assistance and support he and the family needed. I sat at his side as he told his story. She was seasoned and skilled, and did a very thorough and professional job as she interviewed him; calm, detached, and objective: keeping her own feelings well hidden. I sat there as my friend poured out his life story. A story filled with horrible experiences, abuse, and injustice; but also filled with deep and intense love for his family; and, he told of how he long tried; and ultimately failed, to find healing on his own. When my friend left the room for a moment, this woman, who’d seen it all in her 15 years as a caseworker, took a Kleenex out of her purse and wiped a tear from her eye. His story – of the ugliness past of pain and abuse; and a present filled with love – moved her deeply, and me too. Love inspires us. The love of others for us inspires us to love in turn, reaching out to those who are hurting. The love within my friend inspired both of us; even though he was still floundering in the depths of the darkness that others have shoved upon him: a darkness we’ve all encountered at some level, and in one form or another: a darkness we can’t just turn it off, or ignore. Darkness is not dispelled that easily, it is often a lifelong battle against demons that the brokenness and pain of others have inflicted upon us. After she left, my friend sat there: left alone to deal with the anxieties and pain that had arisen with renewed force through the stirring up of those old memories. I couldn’t fix it. I couldn’t make those ancient wounds disappear. Even if I could, they are part of him. Erasing them would erase part of who he is now, taking away or changing the beauty and strength that is within him. Those memories are not pleasant, but without them he would not be filled with the love and compassion and creativity that are at the core of the beautiful person he is now. Even Jesus still bore the wounds of Crucifixion after his resurrection: they are part of who he is now, too. So, I did the only thing I knew how to do: I can’t erase the memories, nor can I make the pain go away, but I can be present. I can love him just as he is; and I can walk with him as he travels the difficult road ahead in his journey towards health and wholeness. All too often, we walk such roads alone. 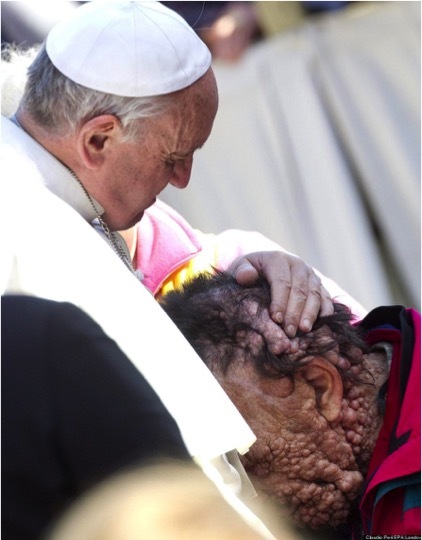 I cannot take the load off his shoulders, but I and many others will be companions who walk with him in this journey. So, I gave him a hug. Nowhere does the Bible say our sins will be erased. It does say that we shall be healed and our sins forgiven, and that God will remember our sins no more, but that does not mean we will forget them ourselves. How could we? They are part of who we are! We love others because we know what it is like to live without love. To say that Jesus died out of love for us is not a small thing: it’s the love of Easter, the love of a God who would not and did not forget Jesus, nor us, and who reached beyond that dark horizon we will all eventually cross to restore him to life. He was made physically present among us again, walking with those whom he loves. We see him, touch him and hear him. He shares meals with us, and he tells us that repentance and forgiveness of sins is to be proclaimed by us in his name to all nations, beginning with Jerusalem. God does not forget us, either. God loves us, and will always love us, for being the unique and wonderful persons each of us are, just as we are. Our faith makes it clear that God is always present: walking beside us, no matter how dark and fearsome the road may be. We do not have the distant and unreachable God found in some of the Hebrew Scriptures. Instead, we have a friend. Someone who walks with us, knowing our pain, knowing our shame, knowing our fears, and yet still – and forever – loving us unconditionally. Dr. Buscaglia often said “Don’t be a fan. Fans are fickle and will soon drop you for something else. Be a friend. You can count on friends.” We are not called to simply follow Jesus, because that puts our Savior on a pedestal instead of beside us. Instead, we are part of the Body of Christ, an essential part of who Christ is in a very physical sense. True friends are essential to us; we put them ahead of our own interests, and know they will do the same for us. And so, through the Body of Christ, we are essential to God. Jesus has shown us that love is an action, and requires us to affirm others: tangibly demonstrating that they are important to us, just as they are. Love means giving that love away for others, so that they – and we – can be what God intended us to be. We all must walk the journey of life – journeying together at times, and separately at others. But, wherever we walk, whether together or apart, there will always be a companion at our sides who loves us, will never stop loving us, and will never stop walking with us. Delivered at ARK Community Church, Dalton MA, April 19, 2015 (Third Sunday of Easter Season). Next Next post: Civil Disobedience and Gay Marriage?